Holiday magic is made year after year by Ballet Jörgen’s traditional treasure The Nutcracker: a Canadian Tradition. Created by acclaimed choreographer and artistic director Bengt Jörgen to Tchaikovsky’s well-loved score, the classic is a favourite that brings magic to the holidays. 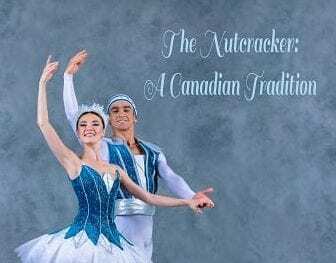 Born from a collaboration with the world-renowned McMichael Canadian Art Collection at Kleinburg and more than 100 costumes in richly coloured fabrics, The Nutcracker: A Canadian Tradition brings out the magic of Canada. Twentieth-century landscapes make up the 30-foot backdrops, including Franklin Carmichael’s Church and Houses at Bisset (1931), Tom Thompson’s Snow in the Woods (1916) and L.L. Fitzgerald’s Trees and Wildflowers (1922). Ballet Jörgen’s Nutcracker is destined to become a national treasure. It is a holiday tradition that has showcased the magic of the season for years. 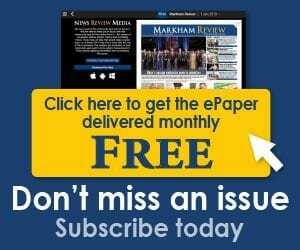 Photo: The Nutcracker: A Canadian Tradition is set for Dec. 30 at Flato Markham Theatre.